Farmer's Market at Government Center. It's already THAT time of the year?! I like those colors very much, they're like a last smile before the autumn's and winter's months..
We're having an amazing Indian Summer, 26 centigrade today, and your photo comes along to remind me it is almost October - damn, that means I'll be a year older. Love it! So excited fall is here. I need to get my pumpkin on! Nature delights us with so many wonderful fall colours. 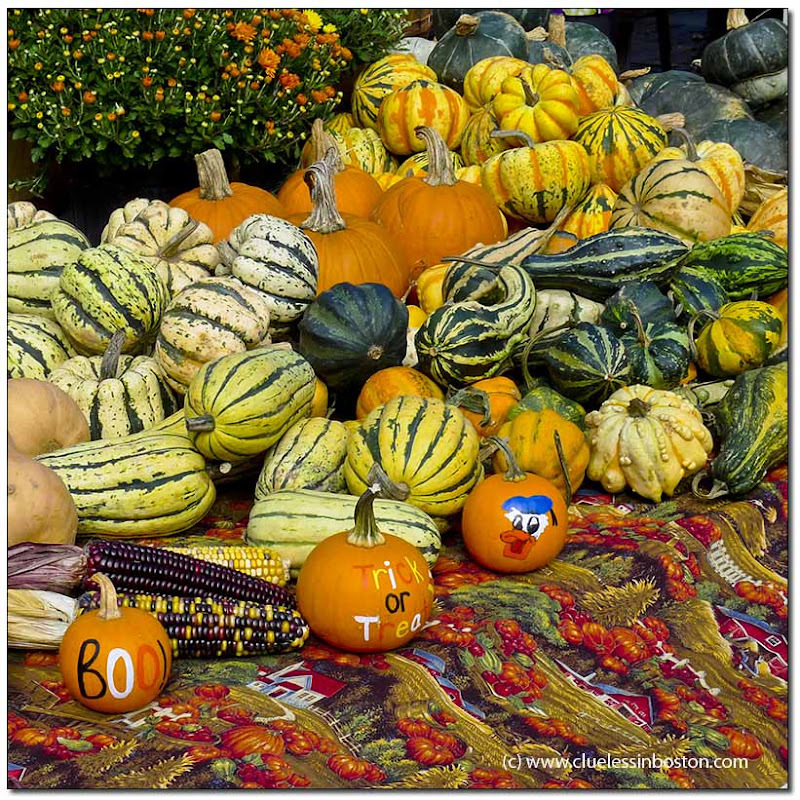 You arranged the gourds, squash and pumpkins to their best advantage. It is fun seeing this archetypal fall scene and then learning that it is in the center of Boston, not a farm out in the Berkshires. Looks interesting and very pretty. so many colors and textures of autumn here. Another great shot for this time of year. We just went to a pumpkin patch with our kids this weekend.